Born on 8th November 1998 in Nabadwip, India. Ritwika Bhadury is now in her 3rd Year of Graduation. Pursuing BBA from B.P. 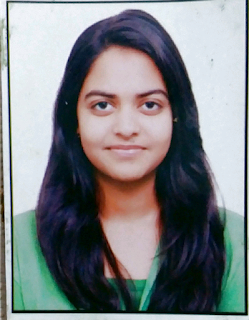 Poddar Institute of Management & Technology (Kolkata), she aspires to become a Company Secretary some day. She completed her schooling from Hariyana Vidya Mandir in 2016. She always had a knack for Dancing (she took training in Kathak for two years) and used to participate in all local and Inter-School Dance competitions. She also participated in the Horlicks Wizkids Fest (Popularly known as Horlicks Fest) in Essay writing. She believes in living life to the fullest and has a keen interest in photography and food tasting. Being honest has always been the rule of her life and she firmly believes in standing against what is wrong. She has also worked with Internshala as a Campus Ambassador for the Internshala Student Partner Program 9.0. 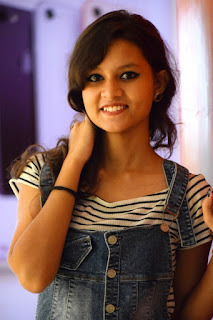 Khushboo gupta is a creative person , she loves to explore new things and have been blogging since 2 years. She writes short motivational ,inspiring,quotes and poems. She has team work skills and leadership skills and aspire a career in HR . She has done many internships in HR too like for Absolute IAS, Dineout ,Interntheory, Stallion capital and iae Global . 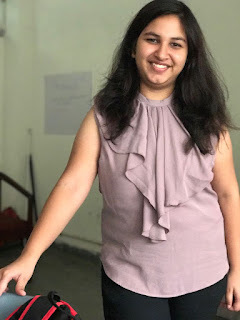 Also she has done internships in other fields also like Basicseduventors for Content Writing , P&G and Nokia for social media marketing and many others. She is currently persuing BBA and is in 2nd year from Vivekananda Institute of Professional Studies. K Pavithra is a undergraduate student pursuing BBA Financial Services in BS Abdur Rahman Crescent Institute of Science, Chennai. She did her schooling in Kendriya Vidyalaya , Ashok Nagar. Becoming a best example to all the fellow students as she excelled both in academics as well as sports, by becoming the School 2nd topper in the Commerce stream while holding the position of School Sports Captain. She is also a Skating Coach at Vi Skating Academy which is owned by her father. When she isn’t glued to the phone or computer she spends her time learning Korean , playing basketball ,trying hard not be a bad at badminton and watching some series or foreign dramas. You can reach her at pavithraskater@gmail.com or 91-6383147477 .